Hardwood flooring is a beautiful choice for any home. Classic in design and long-lasting, it's the sort of floor that instantly makes a good impression. Today homeowners have more choices than ever before when it comes to hardwood floors - plank width, stain colors, wood species. 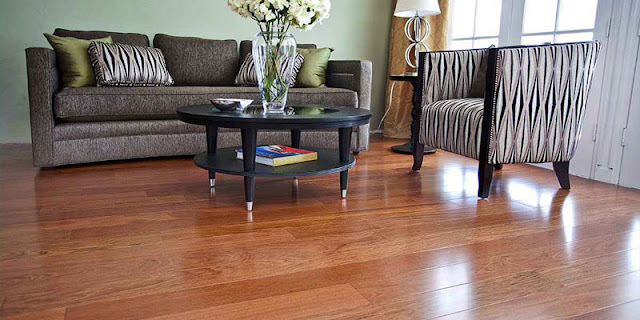 Newer types of wood floors made from bamboo or cork are more versatile than traditional wood floors. It's no wonder that wood floors are popping up in more and more homes. It's also no surprise that we receive a lot of questions about the care and maintenance of hardwood floors. Indianapolis hardwood flooring store, Kermans, has the answers you need to keep your hardwood in top shape. 1. Stop the dirt at the door. Dirt and debris are one of hardwood's worst enemies. Tracked in from outside on your shoes they can scratch a floor and over time lead to issues that are expensive to fix. The best solution? Encourage people to remove their shoes at the entry way. That keeps the dirt from being ground into your floor with every footstep. (This is also a good idea no matter what type of floor you have.) Also make sure you sweep the floor regularly to get rid of any dirt that might be on the surface. 2. Invest in a good dust mop. Can you buy liquid wood floor cleaners? Yes. Should you? Probably not. Always follow manufacturer recommendations before using any cleaning products. In general, you should keep liquids away from your hardwood. The floor doesn't need fancy cleaning products anyway. Regular sweeping and dust mopping will keep it clean and shining. 3. Keep clean rags easily accessible. We mentioned dirt as one of hardwood's worst enemies, the other? water or any spills for that matter. 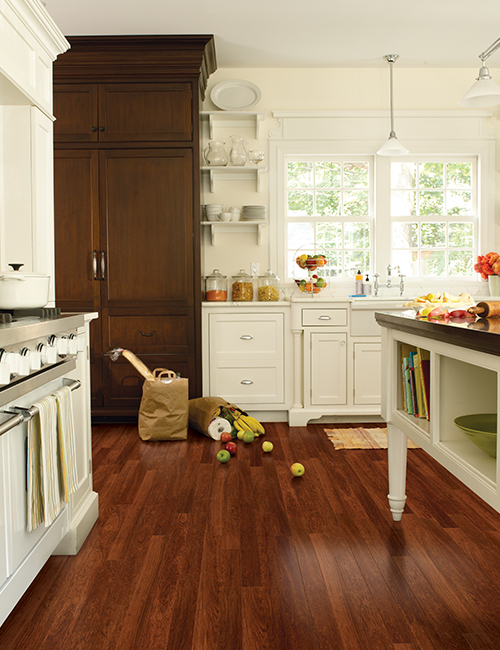 Clean up spills as soon as they happen and you'll help your floor look its best. We recommend keeping a supply of clean, absorbent rags in any room with a wood floor. That way they are on-hand for any spills. Simply blot up the liquid and then wipe clean. If you need to do any spot cleaning - if the spill was sticky for example - you can wipe with a clean, damp cloth to remove the spill. Want the look of hardwood with even easier upkeep? Look at laminate wood floors. A viable option for many homeowners, laminate wood mimics the look and feel of wood. With its different installation techniques and a water resistant finish, laminate wood might be just the floor you're looking for. Leading manufacturers. Cleaning tips. In-store, free design services. Wide selection of wood floors to fit any lifestyle and budget. Kermans is your best store for hardwood floors in Indianapolis. Stop by our showroom on the northside of Indy to learn more about wood flooring.